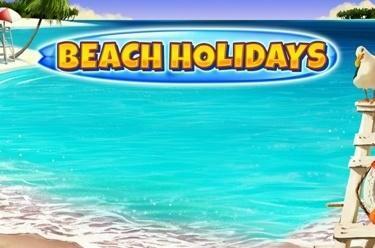 Play Beach Holidays online for free now! Sun & fun, chilled drinks, panoramic views and a laid-back lifeguard who looks after the swimmers: Beach Holidays is sure to create a vacation vibe in the comfort of your own home! Enjoy that summer feeling on 5 reels and up to 40 win lines. And who knows: maybe you'll hit the jackpot! Landing 5 matching symbols side by side along one of the active win lines (running from left to right) will land you a pile of Twists. Just 2 Beach Lady symbols will already fill your coffers with Twists, for all other symbols you need to land 3 matching win line symbols side by side (from reel 1). The Lifeguard symbol can substitute for any other symbol to complete winning combinations. Not only is the Scatter symbol the most valuable winning symbol that pays in any reel position – if the right amount appears free games are triggered! 3, 4 or 5 Scatter symbols in any reel position can trigger 18 free games where any Twist win is doubled. During free games 3, 4 or 5 Scatter symbols earn you more free spins. Free games are always played with the stakes and win lines of the triggering spin. If you spot 20 Lifeguard symbols on your screen it's time to pour yourself a drink: because you have won the jackpot! The jackpot is paid out progressively. That means: The higher your bet, the higher your share of the jackpot! 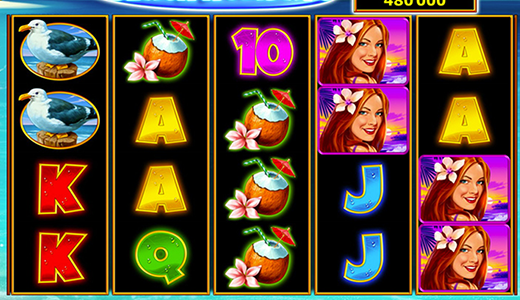 Straightforward gameplay and wonderful winning chances – especially during the free games – that's the jackpot slot Beach Holidays in a nutshell. In other words: The perfect pastime for players who love that summer feeling and Twists!